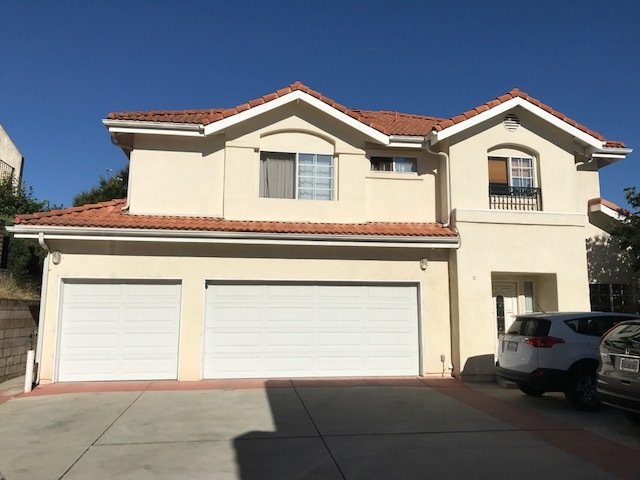 DESCRIPTION: GREAT OPPORTUNITY TO BUY A 4 BEDROOM, 3 BATH, 2 STORY HOME (PUD) WITH A BACKYARD IN THE HIGHLY DESIRABLE CITY OF MONTEREY PARK. DOWNSTAIRS FEATURES A LIVING ROOM, DINING AREA, KITCHEN WITH RANGE AND DISHWASHER, 1 BEDROOM AND 1 BATH. UPSTAIRS ARE 3 BEDROOMS AND 2 BATHS INCLUDING A MASTER BEDROOM WITH EN SUITE BATHROOM WITH DOUBLE VANITY AND WALK IN CLOSET. A SEPARATE LOFT AT THE TOP OF THE STAIRS IS IDEAL FOR A DEN OR OFFICE SPACE. 3 CAR ATTACHED GARAGE WITH DIRECT ACCESS AND ELECTRIC ROLLUP DOORS. GREAT FAMILY HOME IN A 4 HOME GATED COMMUNITY. PERSONAL PROPERTY INCLUDING REFRIGERATOR, WASHER & DRYER NOT INCLUDED IN SALE. HOME CURRENTLY RENTED. LEASE AVAILABLE UPON REQUEST. H.O.A. PACKAGE AVAILABLE UPON REQUEST. H.O.A. DUES ARE $100 PER MONTH. NO COURT CONFIRMATION.